CAT Commands are sent in hex format. 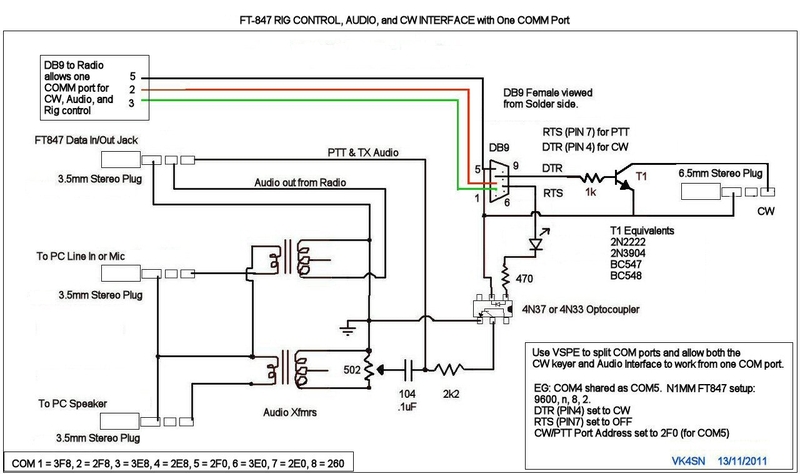 I made this circuit so I could use one COM port on the laptop for field day use. With the use of VSPE virtual serial port software, it allows me to use PTT, Radio Control, and CW on one COM Port. See below for more notes. My Spare shack gear assembled in to one neat Field Day Unit. Just add power and antennas. These are my setup notes. If it helps you then great. My Laptop COM port = COM 5. COM5 is for the ATEN USB to Serial Port Adapter plugged into the top USB hole in back of the laptop. All the following programs have been set to COM2 and will work quite happily all loaded at the same time. 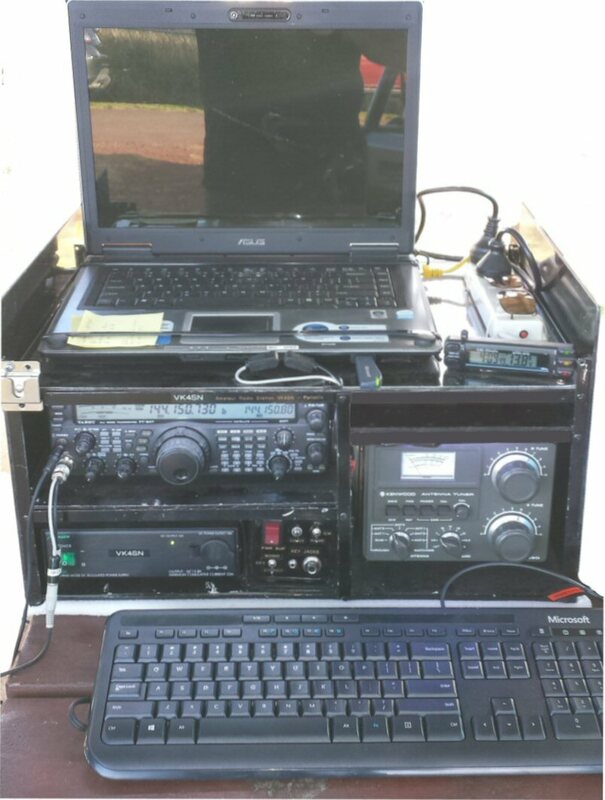 VKCL3 with OmniRig set for FT847 COM2,9600,8,N,2 RTS &DTR = LOW. Everything else set to NONE. If you change settings restart the program. For N1MM Logger setup, see the notes in the diagram above.